absolutely unbelievable.. knievel would be proud..
if you've seen this already, it's worth another look. When I read this title in the UK Magazine Evo's email blast it piqued my interest. This should be cool. A video of the "BIGGEST COLLECTION OF VEYRONS IN THE UK". A mass gathering of these cars would definitely be a sight. Click here to be awed by The BIGGEST COLLECTION EVER OF VEYRONS IN ONE PLACE IN THE UK!! ... a little... umm.. disappointing.. I guess,.. considering each one is worth about 1.5 million dollars ... it's still impressive? At least this group of billionaires won't have too much trouble finding parking next to each other. .... and that's something ..worth being ..excited about. No disrespect to the early sports oriented Italian or German classics but it really all started with the iconic 1974 Lamborghini Countach. This was the first of the true Super Exotics and its image probably adorned just as many adolescent boy's room walls (including mine) as did a particularly popular feathered haired tv angel. Considering it was still very desirable by the time it finished production in 1990 in a form very close to the original is a true testament to this visionary car. The Countach was to supercars as Cindy Crawford was to supermodels. They basically created and defined their respective categories. Now-a-days there are so many options that I can hardly understand that there is actually a marketplace that can house this type of elite purchase. I see the supercar arena broken into 3 sub categories: The Obscene, the Core and the Mundane. The Obscene is filled with just that: obscene numbers. 600+ horspower, 200+ mph, and the main qualifier: 400,000+ msrp. The truly elite and dream worthy. Cars that range from the quirky and absolutely fantastic Pagini Zonda, the direct descendant of the Countach, the Murcielago, all the way to the daddy of obscene, the Bugatti Veyron. The Mundane (obviously, this is all relative..) is filled with cars that are either much more than their road going counterparts but are not that much more expensive or with cars that do request (and rightly so) a premium but are more 'common' (again,.. all relative). Cars in this group would include the Corvette Z06 and the Porsche 911 (variations of the 911 would probably fall into the next category below). This brings us to the Core. A group filled with true classics such as the Ferrari F430. The new comer and obvious alternative, the Lamborghini Gallardo. 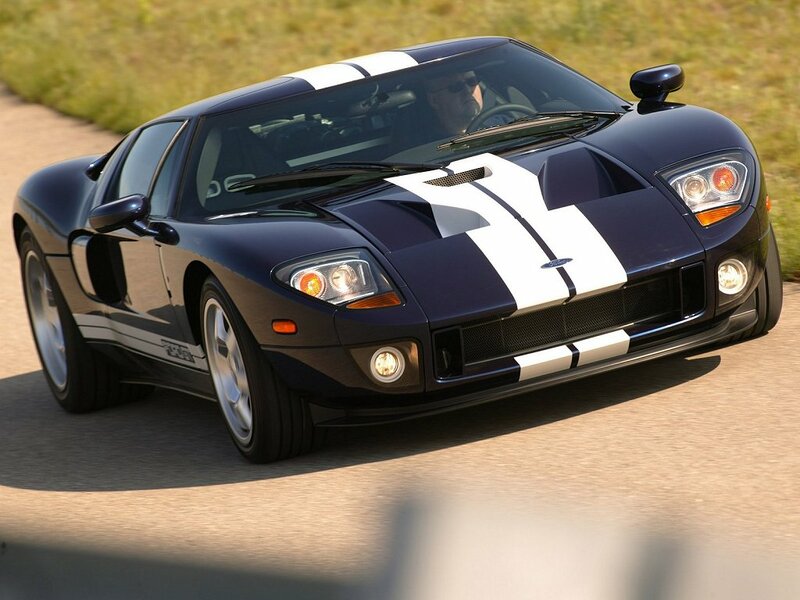 A true exotic with royalty lineage, from an American company no less, the Ford GT. From what used to be an independent tuner turned full-out niche supercar maker, the soon to come (and very beautiful imo) Saleen Raptor. From the makers of the revolutionary and after almost 15 years still one of the most desirable cars in the world the F1, the McLaren (codenamed) P11. Between these fundamental members and all their variants and the ultra low volume irregularities that fill out the rest of the ranks I would have a hard time.. a very hard time making a decision among this group of automobile history. Ever watch Fast Lane Daily? 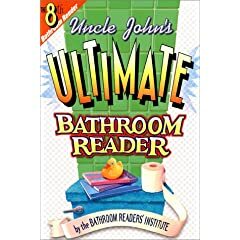 & Reading on the 'throne'..
Just in case my previous posts have not satiated your search for knowledge in respect to my private life, here's another tidbit: to say it in the most polite way possible... i am the quintessential demographic for books like Uncle John's Bathroom Reader. ...'nuff said. This brings me to my relatively recent purchase of the very cool and ultimately very practical Apple iPhone as a gift to my wife on her birthday. To the chagrin of my better-half I sometimes smuggle the iPhone to accompany me in my ... 'brain storming' sessions. Which is great since YouTube is one of the built in functionalities of this little gadget. Which finally brings me to a little find called Fast Lane Daily (well, if you can call a YouTube channel with over 13,000 subscribers a 'find'. Also available on iTunes, Veoh, Tivo, etc.). It's a fast little 5 minute daily take on what's happening in the world of cars. They have great videos with some interesting personalities in a well done, informative, neatly packaged production. Obviously they also have a website which includes a blog. The production company Next New Networks creates a whole whack of other similar episodic type videos as well, all based on different subject matter. Check out their website to see if they have anything you might be interested in. Personally I haven't even looked yet. But if i do find more interesting stuff... I may actually have to buy my own iPhone. Yep, that phone has been flagged, for sure. Hopefully, the phone has also been wiped. Yuck. easy.. easy.. i'm very .. ahem.. careful and methodical about the whole process. anything that needs to be wiped ... is. it's like my wife reads my blog (which she doesn't). just the other day she forbid me to take the iPhone into the bathroom anymore. ....supposedly it's 'gross' ..or something like that..
brainstorming devices such as magazines that live in the brainstorming room never move. as who knows what happens behind closed doors. the iphone is just a visitor that never leaves my sight. badges? you don't got no stinking badges! Which is better? A 5 series BMW or a Toyota Prius? Which is better? Well, I guess it depends on how your order your priorities. If you're talking about panache, style, performance, comfort or practicality then my guess is you'd pick the BMW. If you're talking about fuel mileage then you'd probably pick the Prius... but you'd be wrong. A recent article from The Sunday Times in the UK tested a modern BMW 520d (diesel) against a Toyota Prius and the 5 series won by about 2mpg overall. Of course the test was weighted heavily in favor of highway cruising but still... that's quite an achievement for BMW. With modern diesels becoming more civil in terms of pollution (in terms of CO2 emmissions it is just 32g/km worse than the all eco-greenliness of the Prius), noise and driveability it truly is an alternative to other automotive gas saving alternatives. The diesels from BMW arrive this side of the ocean later this year and I'm sure along with all their other all-new models (1-Series, M3, X6) it will sell like nobody's business. The new issue of 'Car and Driver' and my magazine addiction..
Hello. My name is simply J. And I'm a magazine addict. It started loooong ago in my youth working in my parent's corner store I got to read all the magazines for free. My parents don't own a store any more but I still feel the call of those glossy periodicals that have the latest and greatest news on everything from cars to home decor. I know,.. sad. I recently discovered the cost effectiveness of subscriptions. 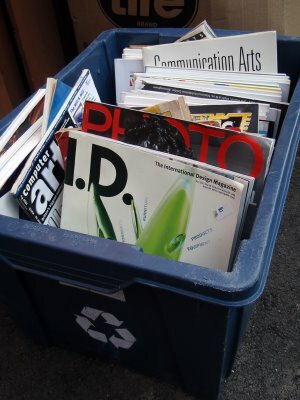 But really, with news and reading material so readily available especially with the all-encompassing reach of the internet plus the decreasing amount of free time that I have as I grow older, magazines seem to be a luxury I can live without. I've been clean and sober for the last 4 months. I was at the grocery store earlier today and a magazine cover caught my eye. Alas, the temptation was just too great and I fell off the porverbial wagon. Voila! 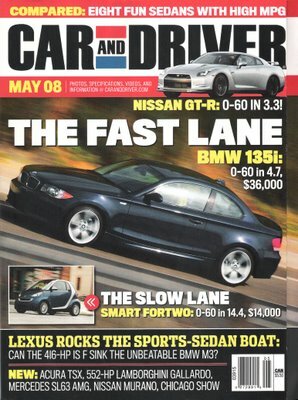 I'm the proud owner of the current edition of 'Car and Driver'. "The last E46 M3 we tested [September 2005] hit 60 mph in 4.8 seconds. The 135i does it in 4.7. That $48,995 M3 chewed through the quarter-mile in 13.3 seconds at 108 mph. This 135i does it in 13.3 seconds at 106 mph, also about identical to the M3’s then-competitors, the Audi RS 4 and Mercedes-Benz C55 AMG." BBC's awesome auto show Top Gear is coming to NBC. It will be an american version remake. No Jeremy Clarkson, Richard Hammond or James May, and obviously no dry humour'd, witty English banter between the three. With the legal issues that you would face in so many of the facets of making the show in the US i doubt they could duplicate the fun segments that make the BBC show what it is. Racing a Mercedes Benz SLR McLaren against a boat cross country to Oslo,... a Ferrari 612 Scaglietti vs. a plane to switzerland,... a Fiat Panda vs. a marathon runner across the city in rush hour traffic (see below). They even have a segment on each show where they invite someone of prominence whether it be an actor or politician and talk only about cars! what they drive,.. what cars have they owned... etc. And then they put them on a track, time them and put their time on a leaderboard with all the previous guests' times (see below). fun. 'Car Soccer'. As fun as it sounds. If you do actually watch this, the interesting thing is that Simon now owns a Rolls Royce. funny. Have you seen the one where they try to destroy the Toyota truck? That sucker wouldn't die. i haven't seen it... until now. see what i mean? best car show hands down bar none. and how are they ever going to do stuff like that in north america? btw, great segment. they must've put the fire out before it complete ravaged the car.. but still impressive. and the building.. wow. Have you seen much of The (US) Office? It's pretty funny in it's own right. Sure the first season was pretty dismal cos it tried to be The (UK) Office, but definitely stands on it's own legs now IMHO. top gear rocks! when the show was cancelled and then brought back minus tiff needle people thought it might not do as well. even though tiff was awesome the current format is a winner and the 3 hosts complement each other well. i never liked nbc's the office. i've given it a try and watched clips here and there.. even though it's funny at times it's not the laugh-out-loud type of funny (for me anyway) that i like. it's too overacted in my opinion. maybe it's the fact that it's kind of portrayed docu style.. i dunno. Pontiac Solstice Coupe: I'm not a real big fan of the Solstice but I will admit that it is a significant car if only because it's one of the few real competitors to the ubiquitous Mazda Miata. Call me a romantic but for some reason I tend to like my sports cars to have that traditional look. A long bonnet over a front engined configuration, a covered cabin just big enough for two and a nice solid haunch over the rear driven wheels. Which is why this particular car turned my head. In my eyes the coupe body form gives the Solstice more credibility as a 'guys' car... a driving tool rather than a the piece of automotive jewelery. Which brings me to the real reason I noticed this car. 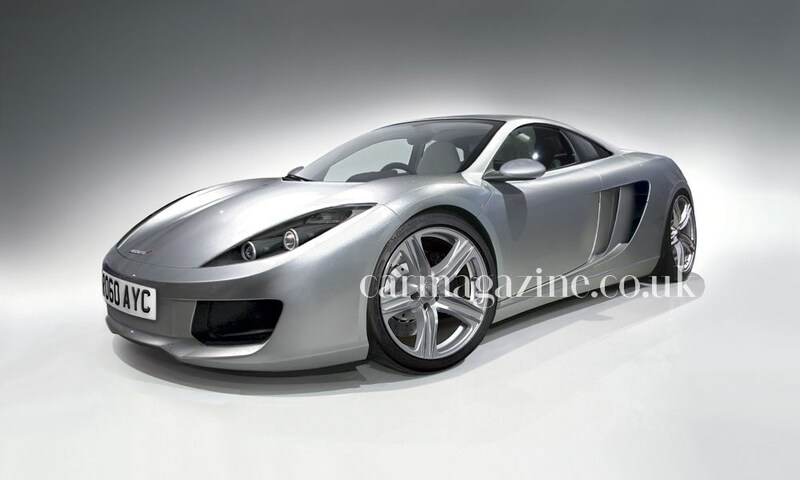 The Solstice Coupe gives a good argument that its sister car, the Saturn Sky Coupe won't be far behind. A much nicer, literally sharper body style in my opinion. ...I just wish it wasn't so cute. Pontiac ST: For me this El-Camino wannabe's time has already passed. All the reasons for buying a truck seem to be missing: the utility, the road presence, the specific 'tough' persona..., and then you're left with a car with two fewer seats and a bed that can fit, and probably will be used for, the junk that you usually keep in that weather protected trunk. But maybe that's just me. I'm not a big marketing guy from one of the biggest companies in the world. I mean, if i were i'd probably be right there.. totally agreeing with this move,.. i'd probably create a top selling vehicle and make millions for my company. I'd probably make something very similar to this: for example take the Subaru Baja. (...No, really. Please,.. take it...) When's the last time, if ever, you saw one of these?! Subaru Senior Designer Peter Tenn who penned the Subaru Baja has said: "It's not like anything else on the road. And that's important to a lot of people." I think Peter had it right but he forgot the end bit that would go like: "... as long as it looks good." But again, maybe it's just me. And finally... I really like the look of this truck.. but when did Tonka get into the automobile manufacturing business? "16.4" as in 16 cylinders and 4 turbos! Truly an amazing vehicle and currently the most impressive automotive engineering feat of our time. Here's a great article from Autocar really putting the capabilities of the Veyron into perspective. The much respected Jeremy Clarkson speaks from the digital pages of TimesOnline. This Winding Road article compares the Bugatti with the ubiquitous McLaren F1; the previous automotive engineering feat of our time. anyone who is interested in fast cars in general will probably at least have heard about the gumball rally. a cannonball run type rally on public roads spanning countries usually done in europe. 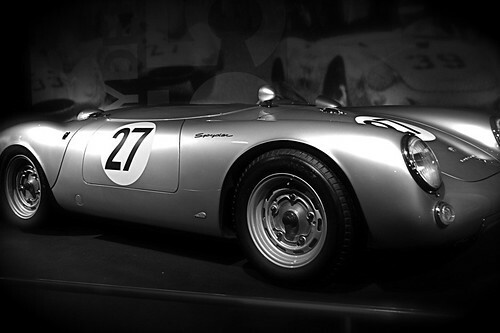 the participants are usually well-to-do types with very expensive cars. recently with the popularity of the rally increasing you see famous people mixed in as well. it's an exciting race and really fun to watch. well,... fun until something bad happens..
just found this video. maybe the rally is finished? maybe it should be..
nope. doesn't look like it's going to stop anytime soon. in 2008 they'll be starting in san fran and ending in north korea... NORTH korea!? i guess ol'kim-il fooled them into going over .. little do they know he likes cars as much as really big glasses and poofy hair.